Since I was little and watched A Goofy Movie quite often, I always wondered what the answer would be to Goofy's question he asks Max while sleeping, trapped in their car due to the presence of Bigfoot: How many cups of sugar does it take to get to the moon? I'm not sure if it's even possible to calculate, or what exactly the question is specifically asking (whether it is meaning to use the sugar as fuel, or to build a bridge from sugar), but I'm just curious. Call it a question that's plagued me since childhood. 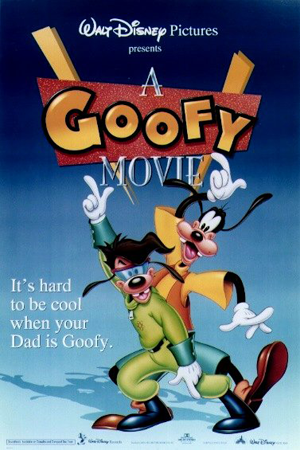 Why is it that Goofy can talk, but Pluto can't? Seriously, what mutation lead to this genetic monstrosity? we can get a rough estimate of the volume of sugar ladder and use the density of sugar (1.6 grams per cubic centimeter) to find the total mass of sugar needed. By my estimate, you'd need about 60 million tons (~57 billion kilograms) of sugar to build a bridge to the moon. Just to compare, it would take 5000 tons of sugar to power a rocket to the moon, and 60,000,000 tons to build a ladder to the moon. That's about 10,000 times more sugar required for the ladder. Thanks for a great question, Kaylee! Do you have a question you'd like to ask Santos? Try Tweeting him at @aarontsantos for a chance to have your question appear on Diary of Numbers. Aaron Santos is a physicist and author of the books How Many Licks? Or How to Estimate Damn Near Anything and Ballparking: Practical Math for Impractical Sports Questions. Follow him on Twitter at @aarontsantos. This ignores important effects like air resistance. Physicist who likes solving geeky Fermi problems.